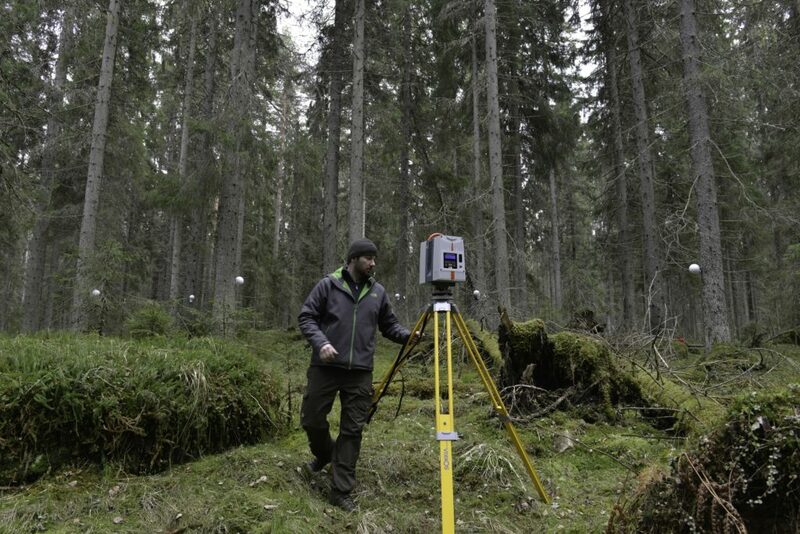 Picture above: Preparing to collect terrestrial laser scanning data from old Norway spruce forest. High detail remote sensing technologies, especially laser scanning, and their ability to measure 3D structure of the forest have revolutionized forest mapping and monitoring applications. “For example in Finland, forest management practices have been based on intensive small-scale forestry because the forests are mainly privately-owned and the size of an average forest holding is relatively small. This creates demanding surroundings for the used remote sensing systems.” New CoE-doctor Ville Kankare says. The main objective of Kankare’s Ph.D. thesis at the Department of forest sciences, University of Helsinki, was to develop high density laser scanning methodologies for individual tree-level forest mapping. The thesis was accepted in June 2015. The results of this thesis indicate that high density laser scanning is a vital option for measuring the required individual tree-level attributes, such as tree biomass, timber assortments, quality and stem curve. This type of information will play an important role in the next generation’s forest resource mapping systems especially where the added value for the information is the highest. when forest industry is optimizing the flow of raw material from forest to the final product. “The economic value and profitability of forest holding rely on detailed and up-to-date information of forest structure and attributes.“ Kankare concludes. 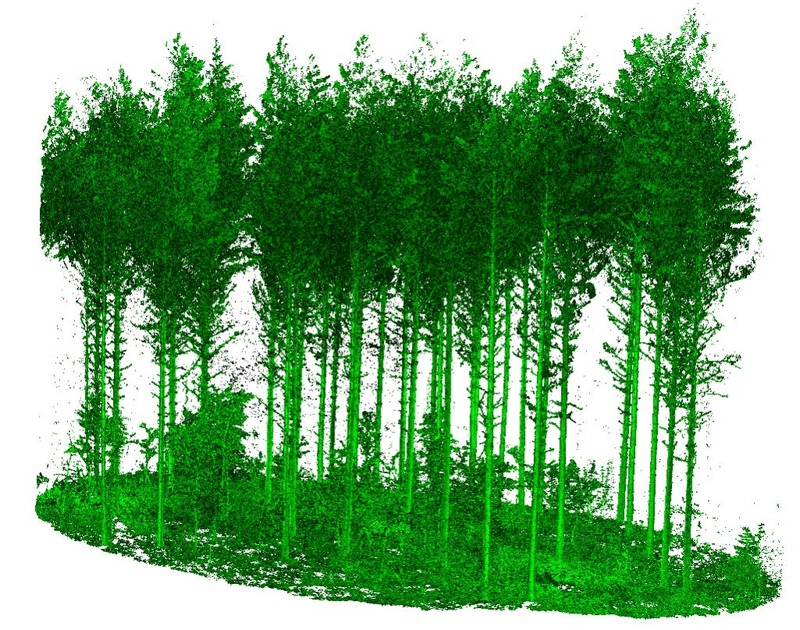 Picture: Representation of the Scots pine forest measured with terrestrial laser scanning.